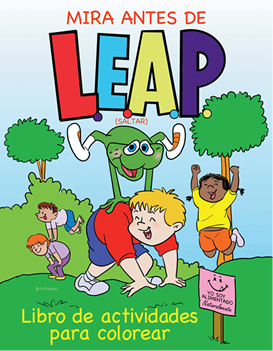 LEAP mission - Patterns of illness in American children have changed dramatically over the last century. Asthma, learning disabilities, autism, obesity and leukemia are the most common and some of the most feared childhood diseases. Help support your local grassroots organizations. 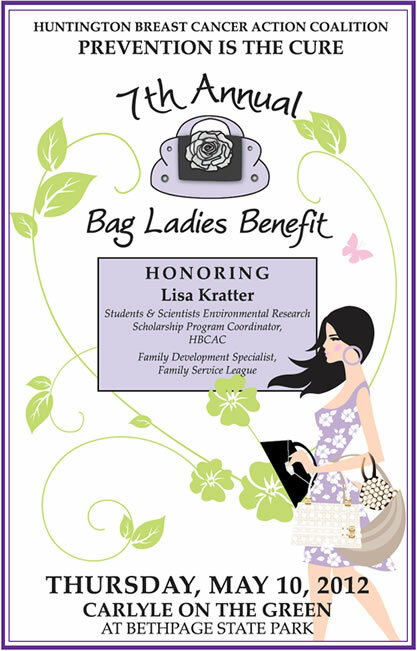 & Support Program and Cold Spring Harbor Laboratory, Breast Cancer Research Program. 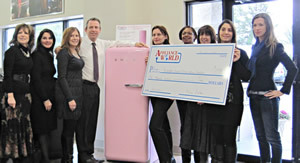 Sincere thanks to Appliance World of Huntington and SMEG USA, Inc.
for recent donation from raffling Pink SMEG Refrigerator. 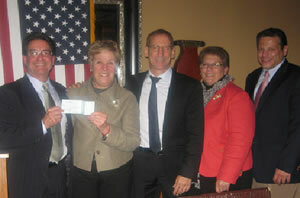 H2O, Tellers, VERACE and Beachtree benefit coalitions in Huntington, Babylon, West Islip and Islip. 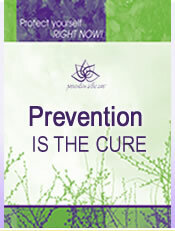 Is The Cure program on 10/4/12. HBCAC will benefit from Cactus Salon’s stylish pink extension fundraiser. Mt. Sinai’s Children’s Environmental Health Ctr. Why Should Long Islanders Be Concerned About Fracking? Location: Rear parking area at Town Hall. 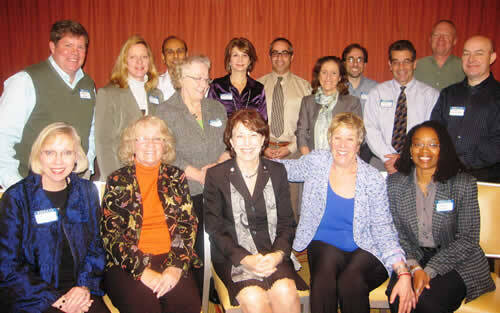 HOPE stands for Huntington's Organizations, People & Places of Excellence. with five others at the HOPE Award Gala held April 21, 2012. People & Places of Excellence) for outstanding service to their community. Spring Institute (Megan) and the Fox Chase Cancer Center (Josh). CUNY LaGuardia College Little Theatre. for their joint project and for their dedication in the fight against cancer. 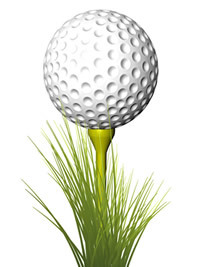 Tuesday, February 7, 2012, 1:00-2:00 p.m. Please R.S.V.P. to Michele.Crosby@suffolkcountyny.gov by February 3rd. 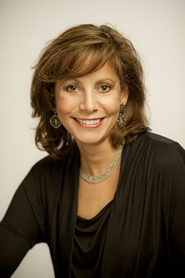 in Cincinnati that focused on breast cancer's connection to environmental factors. 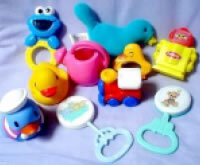 Reduce environmental health hazards in your home, personal care products & children’s toys. 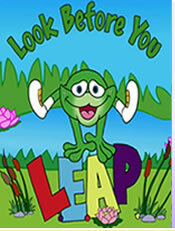 HBCAC and NYS Pollution Prevention Institute for Eco Hour, had a series of one hour web talks on environmental topics. 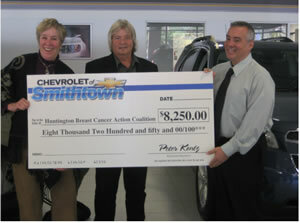 North Shore Chevrolet of Smithtown and The Long Island Camaro Club partnered with Huntington Breast Cancer Action Coalition raising over $9,000! 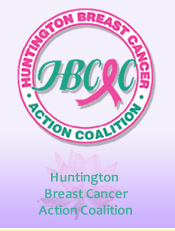 Huntington Breast Cancer Action Coalition during the month of October. HBCAC sends a heartfelt thanks to the Camaro Club and North Shore Chevrolet of Smithtown for their Oct 16th car show! Pictured - HBCAC board members, Karen Miller and Stephen Matonti with Smithtown’s Chevy General Manager, Peter Kontzamanys. 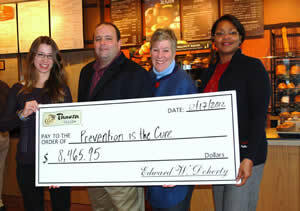 Panera Breads for nearly a decade have contributed to breast cancer organizations on Long Island. 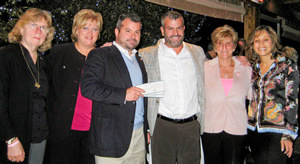 Community at work …this year marked 10th Anniversary of Pink Ribbon Bagel raising over $7,500 for HBCAC’s Prevention Is The Cure, along with two local charities - Adelphi BC Support Hotline and Cold Spring Harbor laboratory (representatives from each group shown here receiving donation check). Prime Restaurant … Our Champions! For many years, the Bohlsen Restaurant Group have helped HBCAC deliver the message about breast health. 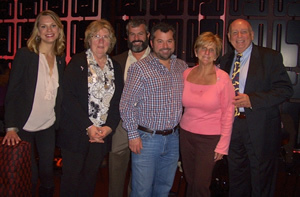 This October through their annual Think Pink menu at Prime, Tellers, Verace, H2O, and Beach Tree, $15,000 was raised and shared among HBCAC, W. Islip and Islip coalitions. Thank you, Michael and Kurt Bohlsen, Genevieve Sloup of RSVP Events, and all our neighbors who enjoyed the wonderful cuisine!! 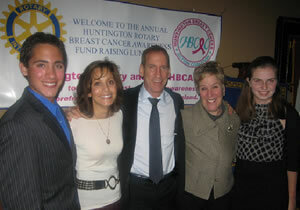 Huntington Rotary, this year held a dinner October 25th at Mac’s Steakhouse was a huge success! For over 15 years, the Rotarians has provided us with an entrance into the business community, and it has been a close partnership. Kudos to NY Assemblyman Andy Raia, Huntington Council member Susan Berland, Huntington Tax Receiver Ester Bivona and Nancy Armstrong from Suffolk County Legislator John Cooper’s office for taking time out to support the event. Ester Bivona, and Andrew Raia.